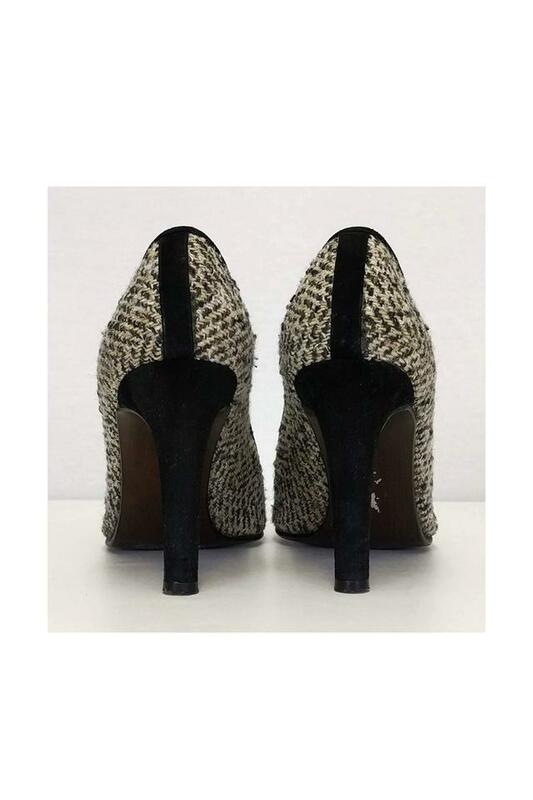 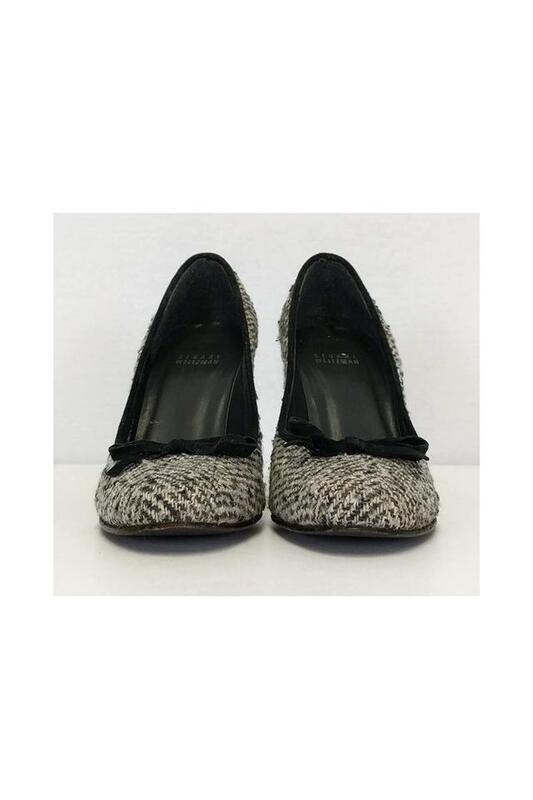 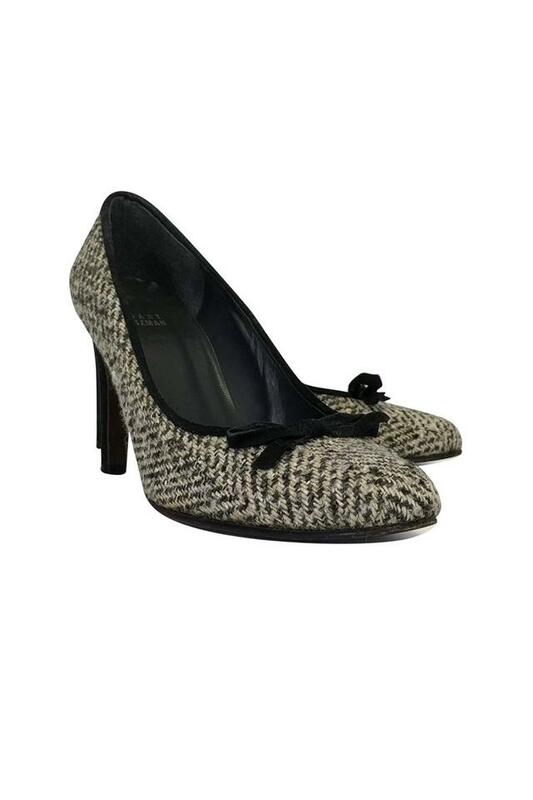 One-of-a-kind tweed pumps with a sweet bow on the front. 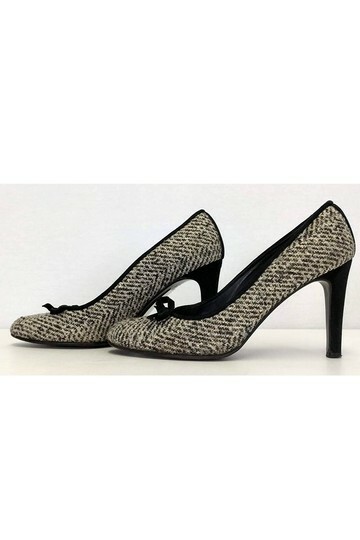 A contrasting black suede heel elevates the shoes. Great for the office or after-hours, these shoes are bound to become a favorite.